Now you can donate $80 – $120 each year to help fund Kea recovery without it costing you anything AND your gift will keep on giving, year after year. Simply buy your electricity from us, pay the same you pay now (or less), we then share our profits with you so you can give to Forest and Bird and the Kea recovery programme and and it won’t cost you a cent! 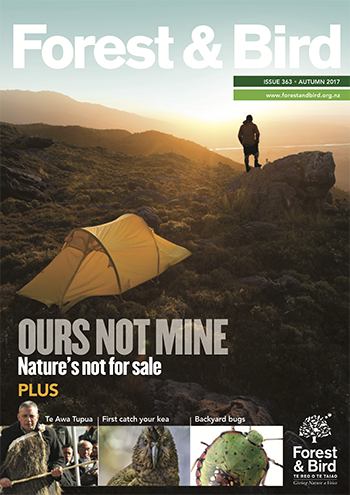 PLUS, join and receive the Forest and Bird popular quarterly magazine, packed with feature articles, news and photographs on New Zealand’s unique wildlife and wild places for FREE. The way you receive and use your electricity supply doesn’t change, only now you will be creating funding for Forest and Bird and Kea recovery whenever you use electricity in your home or business. Yes we can create funding from business accounts as well. Your donation to Forest and Bird qualifies for a tax credit of 33%. If you currently receive a network company rebate or dividend you will continue to receive this. Simply join now, we do all the rest. Click on Join Now to complete the application form online using the Forest and Bird donation number of (number goes here), or request a quote. Power of Together – You, Forest and Bird and Community Power. Why wouldn’t you? Join now.